If you’re coming from a simulation software other than Houdini you’ve probably struggled a bit when first playing around with forces in dops. There are a lot of nodes (pop wind, pop force, gravity, wind, uniform force,…) that seem to do the same thing with slight differences. On top of that some of them go after the solver, some into the pre/post-solve inputs and some only work with points, others with volumes. Simply masking a force to a certain area is quite the hassle of adding multiple nodes and controlling the mask transform/shape is usually not done in the dop context. 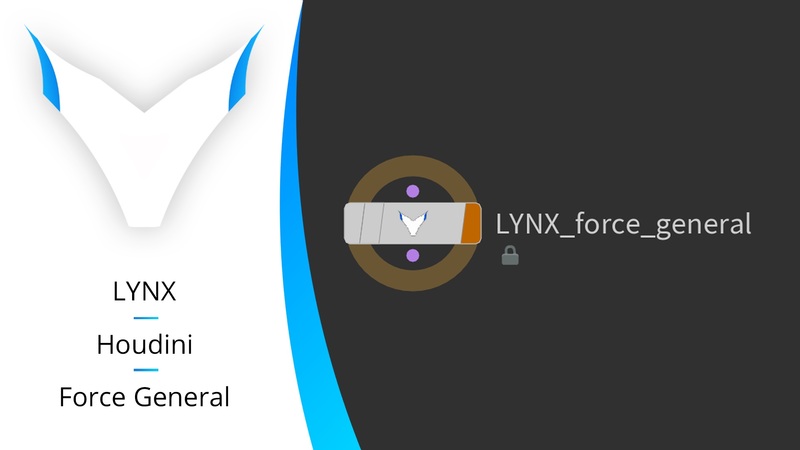 the asset generates internally across multiple “LYNX_force_general” instances to reduce memory usage. So to put it simply: Instead of a lot of force nodes for different purposes, you now have one.